Are you ready for a challenging, growth-oriented career in a beautiful natural setting, where balanced lifestyle choices abound? We are seeking a casual Home Health Nurse to join our team in Clearwater, BC! Clearwater is located 1 hour and 24 min north of Kamloops. Accommodation may be available at this site for the Home Health Nurse. As the Home Health Nurse, you will support the client’s achievement of safe realistic and reasonable goals by assessing, planning, coordinating, organizing, implementing, evaluating and transitioning nursing and other care services for the client. 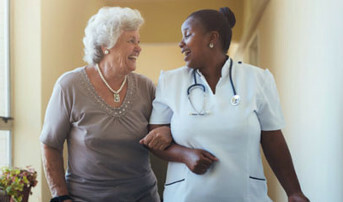 In collaboration with the client, family and other care providers you will develop, implement and adapt a care plan, deliver direct care, assess service eligibility and provide care management to help clients manage their own care and navigate through the various services available within the community setting. If you are a self- motivated, organized Registered Nurse with exceptional critical thinking skills and a passion for supporting clients living as independently as possible; we would love to hear from you! Valid B.C. driver’s license and access to a reliable vehicle. Acute care experience along with a gerontology certificate would be considered an asset.